Dark Romance: Romeo and Juliet is rated 4.4 out of 5 by 7. Rated 5 out of 5 by SparkleGlow100 from Thoroughly enjoyed this beautiful game Medieval type settings! Get past the initial 20 minute introduction to get to the really lovely buildings, furniture, alcoves, and all sorts of patterns and décor of that era. I really loved the HOPS. There were about 8 or so and all were gorgeous to play. I silenced the voiceovers, so I can't say much about them. Romeo reminded me of Orlando Bloom, and Juliet was perfect- determined and strong, but delicate and lovely. Determination not to be separated, they have to overcome adversity - other than that, nothing to do with the original story. 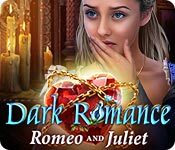 Rated 5 out of 5 by skullfun from ~~Taking on Spakespeare is a tall order but Domini surprised me!~~ Domini Games presents the next exhilarating chapter in their classic Dark Romance series! In this installment you once again get to play dual roles as Romeo and Juliet. The story begins with a back story of how Juliet's mother Alberta dies during the birth of her daughter Juliet. It's an emotional beginning to this adaptation of the classic tale and I really didn't know if I wanted to pursue this avenue on this particular adventure. My trajectory soon changed as I continued with the narrative of plot and I am so glad it did. When you progress with the game and learn Romeo and Juliet survive their families' feud and pledge to get married, a ghost from the Capulets' past surfaces and wants to make sure the feud never ends and the Capulets are destroyed! Juliet's father locks her in a room within the castle determined never to let her see Romeo again but protecting her from a gastly ghost named Gaspar may be the greater motive. There seems to be a Dark Romance that occurred with Alberta and Gaspar decades earlier and the only person who knows the true secrets of this affair is Aunt Lucretia. Her knowledge is ultimately key in defeating Gaspar's dastardly desire to destroy the Capulet family. Will you be able to reach her in time? Play dual roles of Juliet and Romeo with unbelievable challenges via puzzles and hidden object scenes to find out. It's an engaging mystery that pulls you in to help them find a happy ending, or else they're doomed to forever be star-crossed lovers. The graphics in this edition could have been executed better in order to lessen the almost cartoon effect, but if you over look that minor detail, the gameplay is extremely entertaining. Moreover, all sorts of other obstacles stand in your way, and it’s important to deal with all of them. The story is full of unique characters with excellent voice acting and human emotion. I haven't played such an intense HOPA in a very long time perhaps the best yet in 2017. Definitely one CE you have to have in your collection. Cheers! Rated 5 out of 5 by bjdjtjbjd from FANTASTIC !!! I love these types of games. NO! It is NOT like the real, Romeo and Juliet... ( Except for the true love part). Just like in real life, love conquers all. PTL...or I more than likely would not like the game at all.This game has a happy ending. Heck, it's fantasy! I love to escape all the blood and gore that most games are made of. I love the fact that they took other fairy tales in the mix..to me, it made it more interesting. To each their own, I guess. All I can say is try the demo. However, it gets better after the demo! Rated 4 out of 5 by flutterbyz24 from Shakespeare would approve! I was pleasantly surprised by this game. It was much longer than I expected and had a lot of twists and turns to it! There were times, however, I wished I had bought the CE to have the strategy guide. My biggest problem with this game, and many like them, is the lack of a hint feature during the puzzles. A couple of them I would have liked a bit of help, or to have the "skip just this part" feature. I've not been a huge fan of the Dark Romance series in the past, but I did enjoy this one immensely! Rated 4 out of 5 by pennmom36 from Ignore The Romeo And Juliet Scenario It Get's Better After The Demo I have always enjoyed the Dark Romance series, one of the only games I know of that allows you to switch between characters, in this case you will play Romeo and Juliet. I found this game to be slow and super easy at first, and the storyline to be disastrous. I bought the CE version during a sale and I finished the game today, which has 6 chapters. I haven't played the bonus chapter yet, but I wanted to write my review to let you know how I feel about the game now that I have played it through. If you cannot get past the fact that this game butchered the beautiful and tragic Romeo and Juliet classic, you will probably hate the game. I chose to ignore that minor detail and just play the game as two lovers who don't seem to catch a break. You know what? It's not that bad! The puzzles quickly progress in difficulty and I enjoyed the game, in fact, I couldn't wait to foil Gaspar and live happily ever after. So play the game with an open mind, the game does get better after the demo, which is more than I can say for a lot of games lately. In the Collector's Edition version, you will collect Journal notes, 11 hidden Masks, 13 hidden Scrolls and 89 Coins that allow you to purchase items for the Boudoir. Remember the first Dark Romance? You could purchase interface upgrades which was way cooler than buying virtual wedding items to decorate a room that doesn't exist. This part I can say honestly doesn't become any more exciting. The Hidden Object scenes are varied with Interactive List finds, Silhouetted Shape finds and Multiples of a single item, after the demo, they are mostly interactive list finds, silhouetted shape finds and uncovering matching pairs. There are smaller zoom zone HOP's as well and you can opt for a Match 3 game instead in the CE. The Mini Games are available in Easy and Hard modes which is a fantastic feature in my opinion. Below are brief descriptions of some of the games you'll encounter during the demo, but keep in mind that they do get harder, I had to opt for the easy mode on a couple of the frustrating types. 1) Match top and bottom tokens on the wheels by rotating and swapping tokens. 2) Guide the golden rose into the far right slot by creating a clear path using other shapes to unblock the path. 3) Interact with the story scene by placing objects and characters correctly according to the storyline. 4) Restore the image by rotating rings, moving one ring may affect others. 5) Push in all of the lock parts, pushing one may affect others. 6) Move all red hearts to the left side and all of the yellow hearts to the right side. 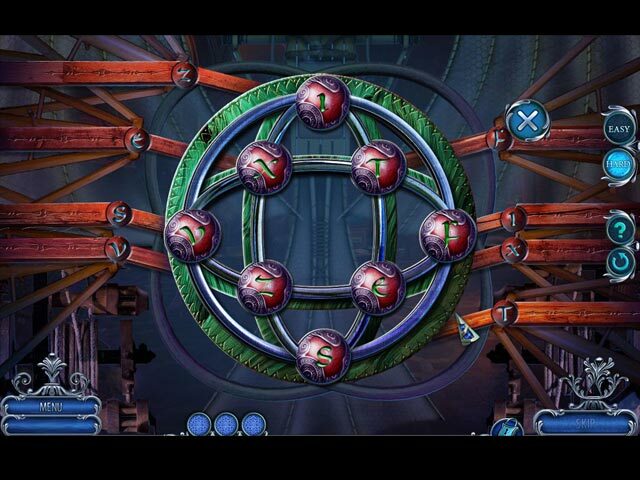 7) Move all 3 goblets to the blood drop slots above the board without getting touched by the arrows. The Collector's Edition has 36 replayable Movies, 18 Wallpapers, 26 Concept Art pictures, 5 Music Soundtracks, 11 Collectible Masks, 13 Collectible Masks, 86 collectible Coins to purchase items for the Boudoir, 16 replayable Mini Games, 29 Achievements to earn, a built in Strategy Guide and a Bonus Chapter, enjoy! 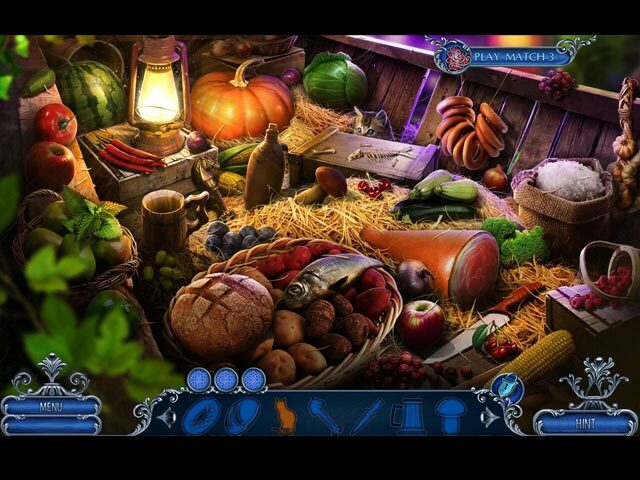 Rated 3 out of 5 by DeadRiver from Cute and Fun This is a cute little hidden object game. It is worth the $2.99 Daily Deal price. 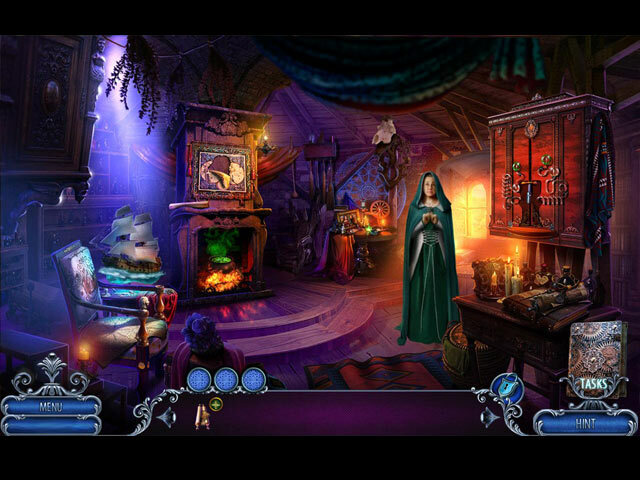 The graphics are nice and bright, sound quality very good, hidden object and mini games are okay. Storyline is just okay. It's not a spectacular hidden object game but it is fun and entertaining and I would recommend it to all hidden object game lovers.